Manual Handling refers to any activity (repetitive and non-repetitive) that requires the use of exerted force by a person to lift, push, pill, carry, lower, or otherwise move, hold or restrain a person, animal or thing. 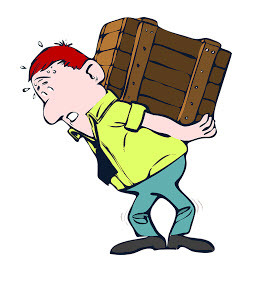 Manual Handling occurs all the time in our day-to-day activities and is one of the most common causes of injury. Assess the load: is carrying it the only option? Do you need assistance? Can it be broken down? Is the path to where you want to go clear? Stretching should be performed before undertaking any manual handling activities. It helps to reduce muscle tension and improves flexibility, circulation and posture.